These are specifically written for business to increase followers and engagement. These are in no way exhaustive but will help companies or business of any jumpstart. Note: This is a long list of Twitter tips. If you don’t have time, save it for later. 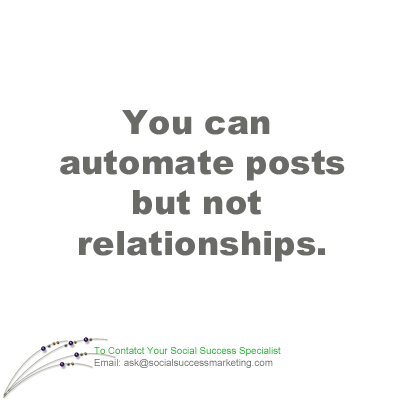 Automating posts save you time. One thing that you can NEVER automate on Twitter, however, is building a relationship which begins when you interact with followers. Take the time to connect with other Tweeters. Be consistent! Being consistent includes time and frequency when you are on Twitter. It also includes tweeting topics related to your business/industry. Clear expectations. If you use Twitter for customer service, include office hours in your Twitter bio. That is, especially if your office hours are not 24/7 and if you are in a different timezone. The number of customers wanting to reach vendors on-demand is going up steadily each year. OR, depending on how big your company is, you may want to create a separate Twitter profile for customer service. Define your Twitter marketing goal. Being on Twitter is not a marketing goal because Twitter is only a tool. Having a defined goal helps in determining your strategies, in identifying tools to use and figuring out what to measure. Examples of goals are referral traffic to your website or landing page, increase followers, increase leads, the number of downloads and more! Encourage sharing of your post by including a call to action, like “Please retweet,” but please use it in moderation. Every account can follow 2,000 users total. Once you’ve followed 2,000 users, there are limits to the number of more users you can follow. This number is different for each account and is based on your ratio of followers to following; this ratio is not published. Follow limits cannot be lifted by Twitter and everyone is subject to limits, even high profile and API accounts. 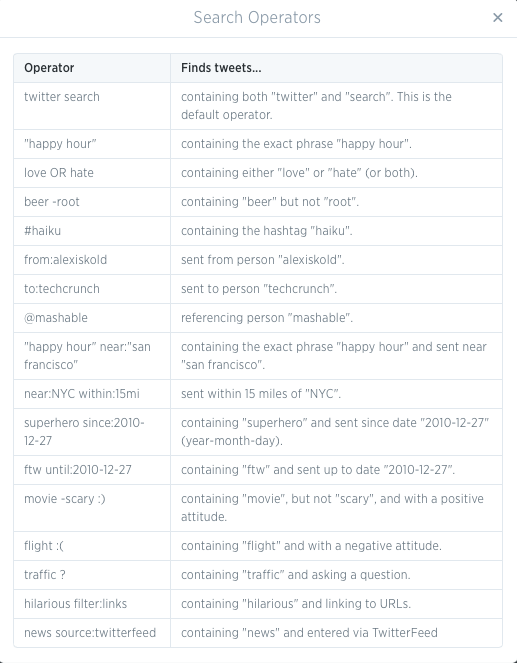 Get to know some of the most commonly used Twitter terms. Hashtag tweets where relevant and when necessary. Hashtag keywords not every word and do not string a bunch of words in a hashtag like this one: #donotstringabunchofwordsinahashtaglikethisone. That is very hard to read. 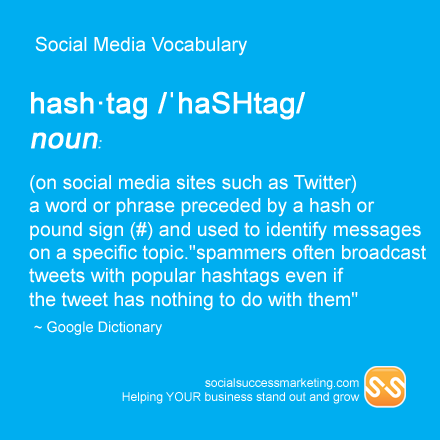 You may create your hashtag for your business. Using a hashtag is a very helpful strategy when hosting a TweetChat or doing a promotion. If you are creating your own, check if it’s already in use and how it is being used. Images can help increase engagement for your products and services. Research done by Twitter on over 2 million tweets of verified US accounts shows that adding photos to a tweet does just that. Share images that are relevant to your business niche. Link to image uses up to 26 of the 140 characters per tweet. Accepted file formats if uploading images directly to Twitter are GIF, JPG, and PNG. File size: 5MB for photo and up to 3MB if uploading GIF. Join tweet chats! That is one way to increase your Twitter followers and to find quality tweeps. Find a tweet chat that is suitable for you at Twubs Twitter Chat Directory. Keep a list of your primary source of contents in Twitter. Use the list feature which you can set up as either private or public. You will need their content to complement your own; that’s assuming you are creating your own. Outside of Twitter, some apps I use are Feedly, Flipboard, Google Alerts, and Pocket. Limit tweet to 120 -140 characters. Be creative! Limiting post to about 120 characters gives other Tweeters space to comment on it. I try retweeting other Tweeters’ post but sometimes abandon the favor especially if it would need more changes to fit the 140 character limit. 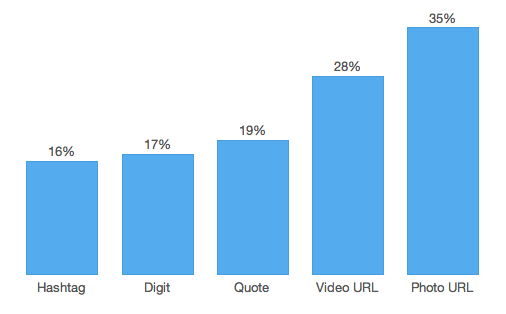 Track Social already did a study indicating that a tweet’s sweet spot is 70-120 character limit. Beyond that, engagement starts to wane. Measure your Twitter marketing efforts. Create benchmarks. Engagement is high but for what reason are you doing it? Note that not every tweet is visible. “Visiting another user’s profile page on Twitter will not display Tweets that mention them. However, you can search for all Tweets mentioning their username in the search box. Search for ‘@username’ to view results,” according to Twitter. This is important if you are taking tabs of the competition, or lead. Optimize your Twitter profile. Use a high-quality photo or logo. Do not use Twitter’s default image (the egg). Also, include in your bio URL of your website or landing page and your contact information if you have room for that. Use link shortener app for links to save space. Read letter “T” below about link shorteners. Pin your blog, event or important announcements to your Twitter profile. A pinned post stays on top of your Twitter timeline and everyone checking your profile will see it. You can only pin one tweet at a time. Quality over quantity of posts should be a key strategy. Think of what your niche market needs to keep them coming. Heard of the 80/20 rule? Not necessarily a “rule” but best practice in social media: post 80% contents that are helpful for your followers, and the remaining 20% for posts promoting your business. Retweet sensibly. Retweeting a “hello” from a tweeter without responding is not being sensible or “social” unless you’re a bot. Read the 10 Retweet Best Practices for more information. search.twitter.com is a great tool to find potential customers and relevant conversations that you may want to take part. You can also use it to check your competitors. Track clicks of your Twitter posts , particularly your visual or textual contents to measure your social success. Measuring clicks will help you determine if you are doing the right thing or if your followers like the posts/topics you’re sharing. 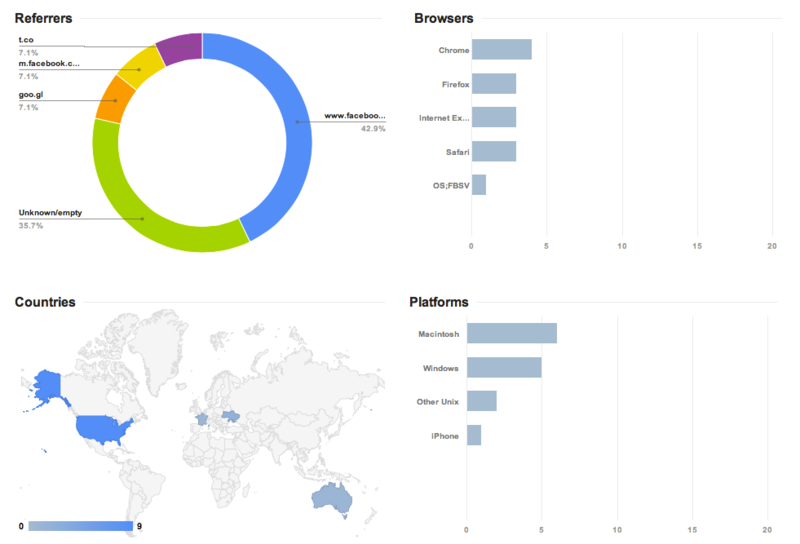 Tools I often use are bit.ly and Google’s link shortener, goo.gl. Vary your tweets by either using text, link or image and with or without a hashtag. Visual tweets make your tweet stand out. Walk off Twitter. Breathe. Re-energize Experience real people and life. Don’t fall victim to FOMO (fear of missing out). Twitter will still be there when you return. X out [yes, I found a verb for that :D] any plan to buy Twitter followers. A lot of these are fake. It is counterintuitive if you intend to get leads and engagement. You can find more people to follow using Twitter directory. Zero in on strategies that will help you attain your marketing goal/s. It is one thing to engage, but it is another to get people do what you want them to do. For example, download eBook, give their email, visit a landing page, subscribe, buy from you, etc. Your turn! What are your tips to grow engagement, traffic and leads? 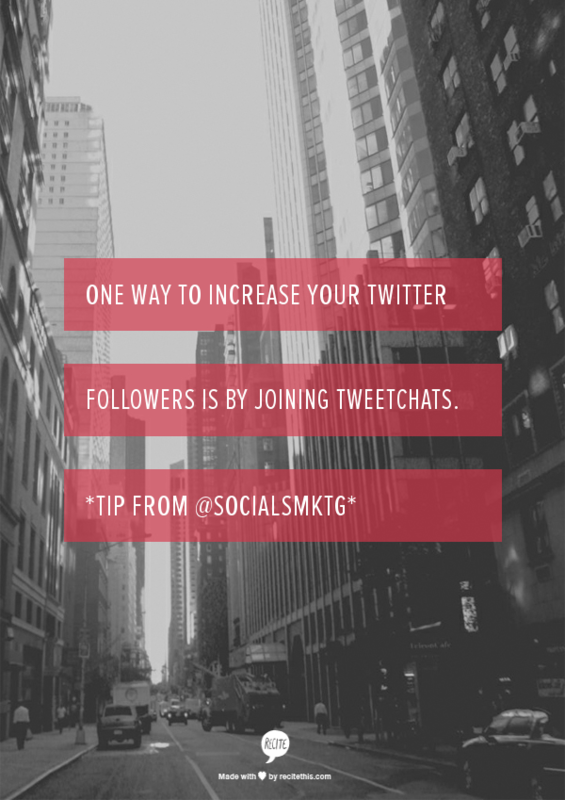 If you need more information on either of these Twitter tips, ask Ruby of Social Success Marketing. © Ruby Rusine | Social Success Marketing unless otherwise stated. You may republish this post citing original author.